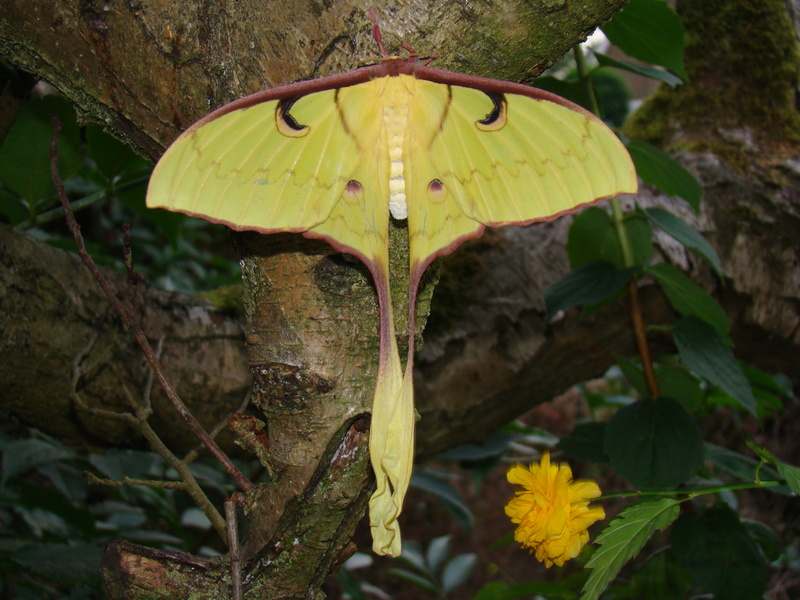 Actias maenas — “Malaysian moon moth” | Welcome, visitor! Special notes: Both maenas and isis are difficult to pair with old adults, most pairings I have seen were from 1 to days 3 old individuals (especially males). I rear the larvae in plastic boxes for the first few instars, after which I sleeve or cage them after L3, where they are less tolerant of being reared in airtight boxes as they will demand a bit more ventilation as they become larger. 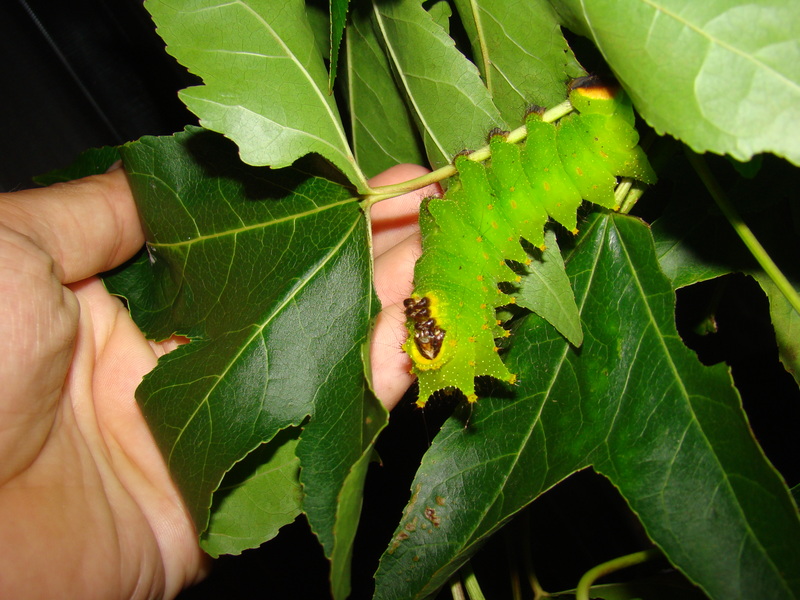 Larvae become quite big and spin leaves together when constructing the cocoon – as a tropical species they are continuously brooded and do not diapause. 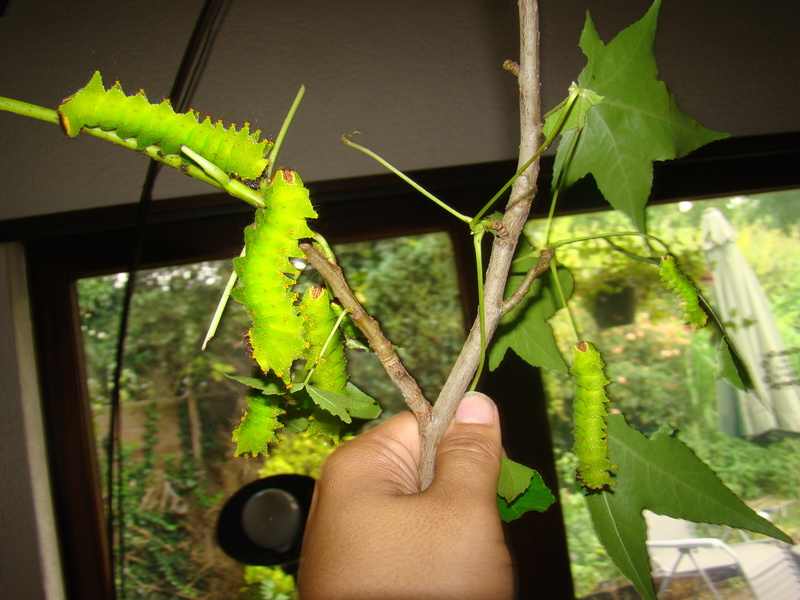 Actias maenas is more polyphagous than most people think and experimenting with host plant should be worth the effort, especially with plants within the Rosaceae family. Normally the moths hatch quite fast from their cocoons; in about a month or so. 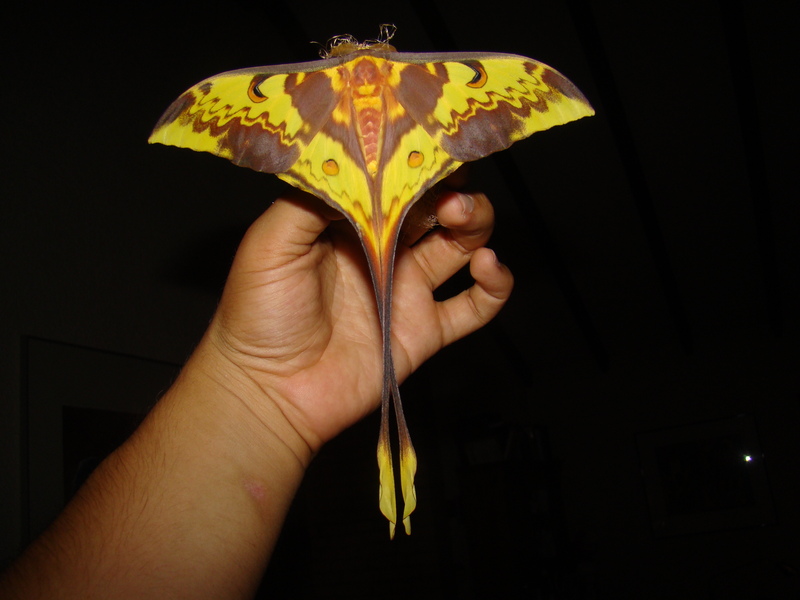 Actias maenas is a species that can be raised by beginners from eggs to adult moths in my opinion. However, it is the pairing of the adults and completing the cycle that can be the true challenge with breeding them. It also seems that after a few generations the bloodlines of this species are generally wiped out in captivity; it perhaps does not tolerate the inbreeding very well.